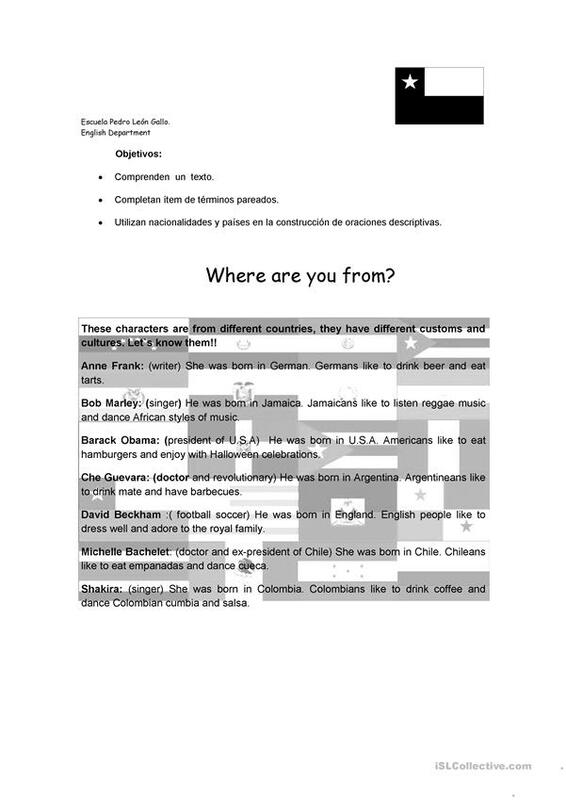 This guide is about nationalities, students have to recognize these nationalites and make sentences using it. The present printable, downloadable handout is best suited for elementary school students at Elementary (A1) level. It was designed for improving your class' Reading skills. It focuses on the theme of American/British English. devoika is from/lives in Chile and has been a member of iSLCollective since 2011-04-27 22:56:09. devoika last logged in on 2011-12-14 04:28:15, and has shared 3 resources on iSLCollective so far.